But that book will come back to haunt him. It will help NYPD detective Ben Bradley track him down. And it will take him to a rundown New York hotel room where the body of a woman is found facedown in a bath of acid, her features erased, her teeth missing, her fingerprints gone. It is a textbook murder – and Pilgrim wrote the book. What begins as an unusual and challenging investigation will become a terrifying race-against-time to save America from oblivion. 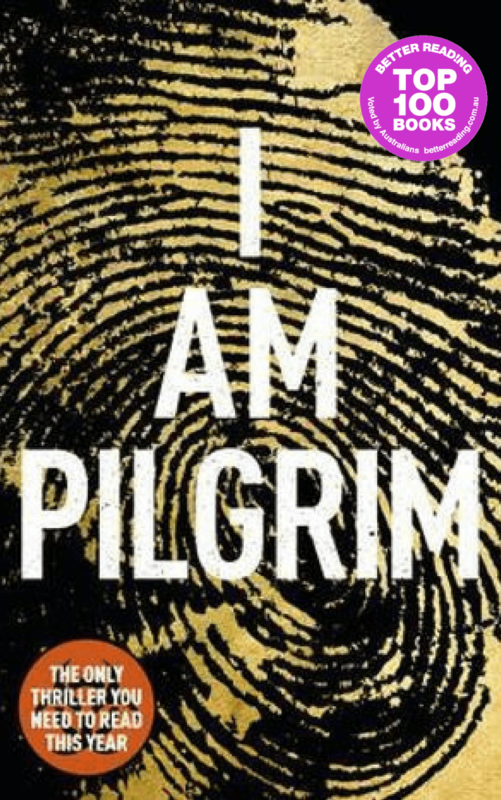 Pilgrim will have to make a journey from a public beheading in Mecca to a deserted ruins on the Turkish coast via a Nazi death camp in Alsace and the barren wilderness of the Hindu Kush in search of the faceless man who would commit an appalling act of mass murder in the name of his God. Terry Hayes is a former journalist and screen-writer. Born in Sussex, England, he migrated to Australia as a child and trained as a journalist at the country's leading broadsheet. At twenty-one he was appointed North American correspondent, based in New York, and after two years returned to Sydney to become an investigative reporter, political correspondent and columnist. He resigned to produce a prominent current affairs radio program and a short time later, with George Miller, wrote the screenplay for Road Warrior/Mad Max 2. He also co-produced and wrote Dead Calm, the film which launched Nicole Kidman's international movie career, Mad Max Beyond Thunderdome and a large number of TV movies and mini-series – including Bodyline and Bangkok Hilton – two of which received international Emmy nominations. In all, he has won over twenty film or television awards. After moving to Los Angeles he worked as a screen-writer on major studio productions. His credits include Payback with Mel Gibson, From Hell, starring Johnny Depp, and Vertical Limit with Chris O'Donnell. He has also done un-credited writing on a host of other movies including Reign of Fire, Cliffhanger and Flightplan, starring Jodie Foster. The Year of the Locust is Terry Hayes' second novel. His first, I Am Pilgrim was an international bestseller. He and his American wife – Kristen – have four children and live in Switzerland.